nonprofits and organizations with projects that might not be completed without a volunteer workforce. Community leaders and businesses support these volunteer efforts with a financial pledge. These funds enable our students to grow in leadership and character by helping them attend various trips and conferences throughout the year. What Do I Need to Know as a Student? 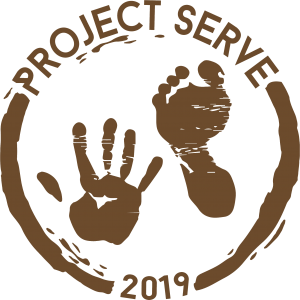 Project Serve is an opportunity for all of our middle and high schoolers to serve in our community; however, it is required for those going on an upcoming trip/conference with Bethel Students. If you have a conflict, let Sarah Dunkel know at sarahdunkel@bethelfc.com. We look forward to publicly recognizing our sponsors, and sincerely thank those who have already made a contribution. If you would like to make an online financial contribution to Project Serve, click here. Please enter the dollar amount in the “Other” field and indicate that it’s for Project Serve. All donations are tax-deductible. If you have further questions about how to get involved with Project Serve as a sponsor, please contact Sarah Dunkel at sarahdunkel@bethelfc.com. What Agencies Have Been Served in the Past?